7 days from £3210pp plus international flights. 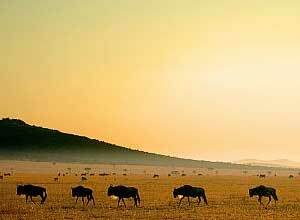 A diverse three-centre safari in Kenya's Masai Mara, Amboseli and Ol Pejeta Reserves, staying in good quality, eco-friendly Porini camps. From the big cats and annual migration of the Masai Mara, to the huge elephant herds of the Amboseli, and the diverse wildlife of Ol Pejeta Reserve, this safari will give you an exciting insight into the variety of Kenya's landscape and wildlife. If you take this trip between about July and October the annual wildebeest migration should be in the Mara which gives as added special aspect to the trip, but the wildlife viewing should be excellent at most times through the year (perhaps avoiding the main rainy months of April and May). From day one you will be met and assisted from place to place. 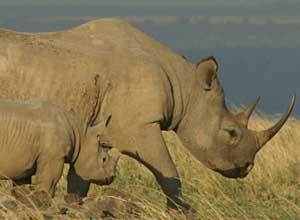 You have on road trip from Nairobi to Amboseli, but all other main journeys are flights. 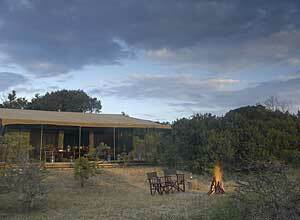 The Porini camps are excellent quality small camps. 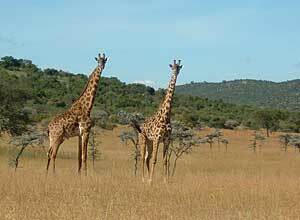 They have an authentic safari camp atmosphere, and whilst they are quite rustic, they are very comfortable. They have en-suite bathrooms with solar-power and other eco-friendly initiatives to reduce their impact on the sensitive environments they are placed within. 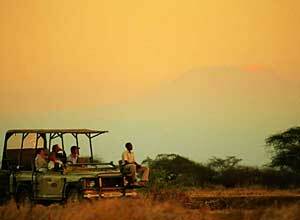 The Masai Mara and Amboseli camps are in conservancies owned by Maasai communities who benefit from tourism. 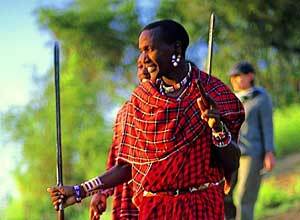 Conservation also benefits from the camps' presence as the Maasai have more reason to protect the wildlife. 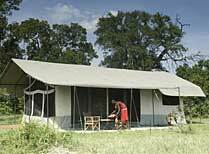 The guides at the camps are knowledgeable and enthusiastic about sharing their passion for their home. You will return home with some incredible memories to treasure. Price notes: 2019 guide price pp sharing: 1 - 15 Apr, 1 - 30 Jun, 1 Nov - 19 Dec 2019 from £3210. 3 Jan - 31 Mar 2019 from £3600. 1 Jul - 30 Sep 2019 from £4560. Accommodation on a twin share basis; meet and greet at Nairobi airport; all transfers as per the itinerary; domestic flights from Wilson to Nanyuki, from Nanyuki to Ol Kiombo (Mara), from Ol Kiombo to Wilson (Nairobi); full board at all 3 camps including soft drinks, beer, house wine, gin & tonic and mineral water; day and night shared game drives in open 4x4 vehicles; park and conservancy fees; Maasai village visit; Chimpanzee Sanctuary visit; walks with Maasai warriors and AMREF Flying Doctors Medical Evacuation Cover. International flights; departure taxes; visas; travel insurance; meals not specified; drinks; items of a personal nature; tips. This holiday starts and ends in Nairobi. International flights from the UK start from around £750, depending on season and availability. Departure dates: This is a suggested itinerary which you can take at any time during the year. As it is tailor made, you can tweak this itinerary in any way, as this is just to give you an idea of the type of safari you could enjoy using Porini Camps. Please note: camps are closed mid April to May. 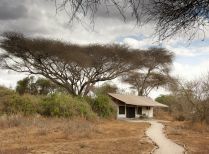 The Porini Safari Camps are environmentally-friendly Eco-Camps that have been established in exclusive Wildlife Conservancies and are carefully managed to ensure that local communities, the environment and visitors benefit from our Conservancy concept. Communities living alongside national parks and reserves derive tangible benefits from conserving the indigenous habitat for wildlife. 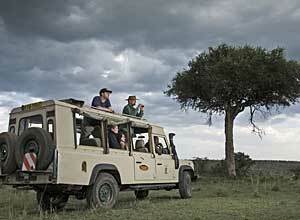 Visitors gain a superior safari experience in pristine, game-filled areas where the wildlife is safe and protected. Porini Camps have each been awarded a Gold Eco-Rating by Ecotourism Kenya who promote environmental and social responsible practices within the tourism industry.